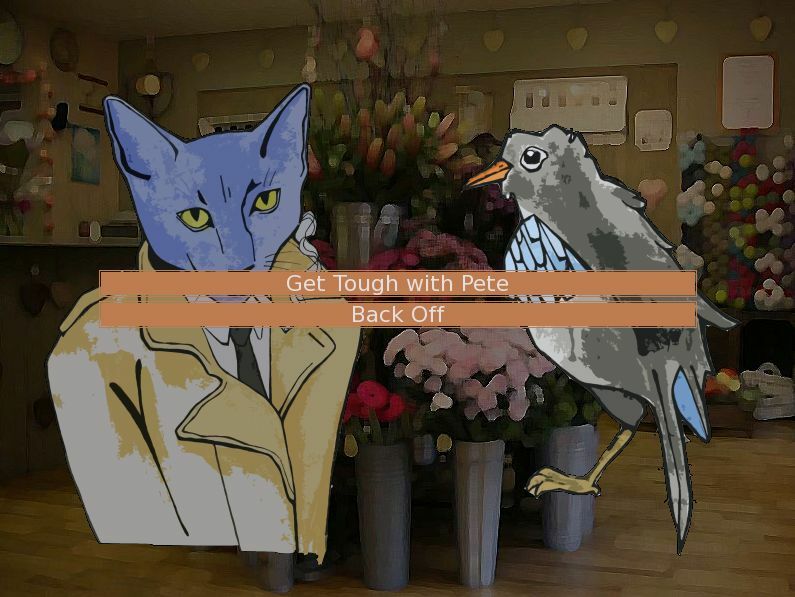 Kitty City: A bustling commercial metropolis nicknamed The Big Milkbowl, an animal paradise where young cats can chase their dreams like birds in the sky. From the bright lights of the skyline to the sedate green spaces peppered around the city, it's a hell of a town. But beneath this dazzling facade is an underlying layer of darkness that the average joe wouldn't have the first idea about. 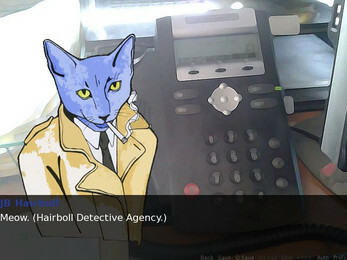 No city is perfect, and Kitty City has more crime than you could shake a feather-on-a-stick at. `Nip dealers, extortionists, and worse.. 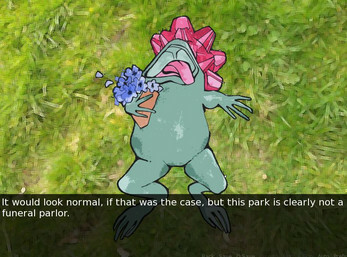 When a frog turns up cold in Flirtybird Park in the middle of the day, the fuzz don't have any leads and don't know where to turn. Lucky for them, one cat trots alone through the seedy backstreets of Kitty City, doing what he can to make it a better place: JB Hairboll, Private Eye. 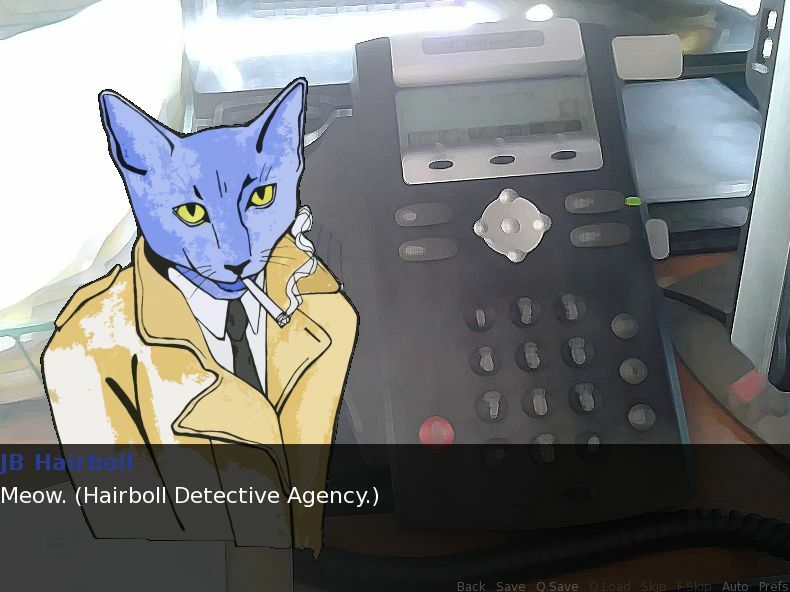 A tribute to 1980s-1990s Japanese detective games such as JB Harold and Saburo Jinguuji, JB Hairboll is a short mystery that is suitable for players of all ages. 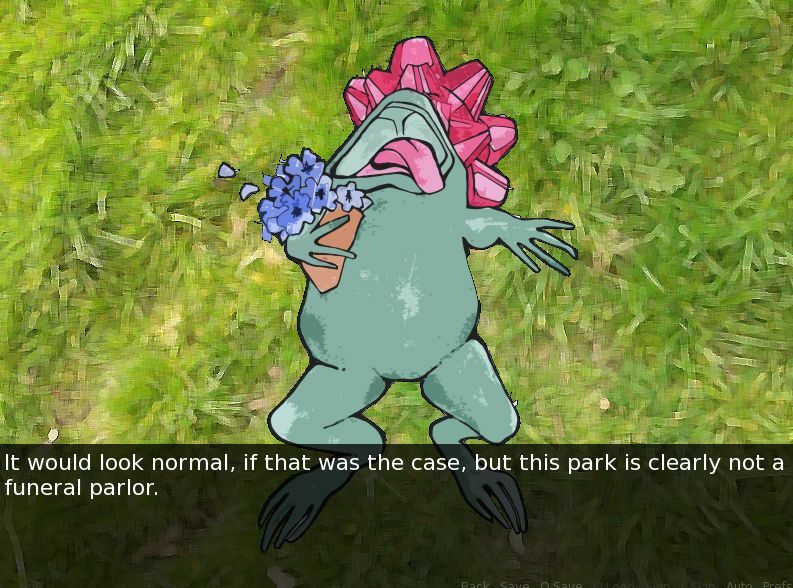 Created within 30 days for NANORENO 2015 by Nurvuss, Justyna Burzynska and Borscht Boll the Cat.